Chop an onion and soften it in butter for a few minutes. Add a clove of crushed garlic. 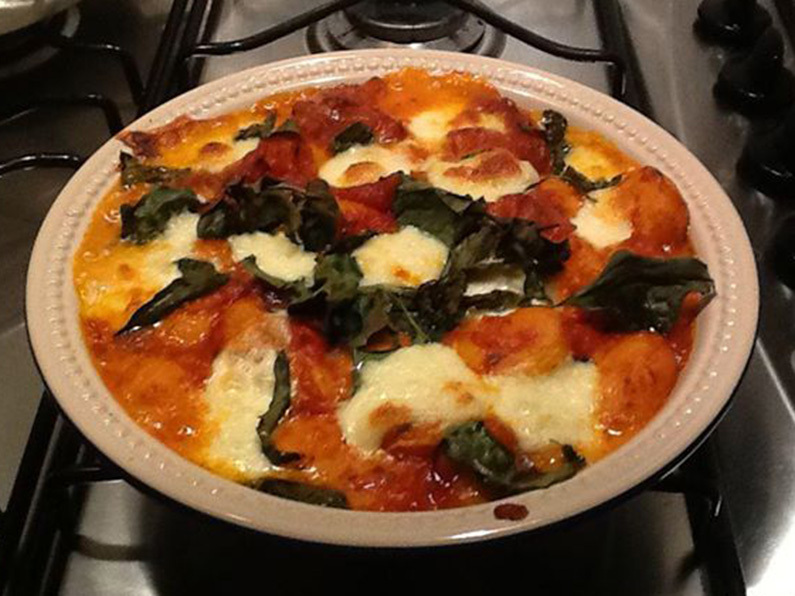 Add a 400g packet of gnocchi and gently cook for a couple of minutes. Add 2, 400g cans of chopped tomatoes. Season and simmer for 10 minutes. Rip a mozzarella ball into pieces and places these amongst the gnocchi. Scatter with basil leaves and place under the grill for about 5 minutes until bubbling.